Vibrant colored flowers are still blooming in the Netherlands and the best is yet to be seen. 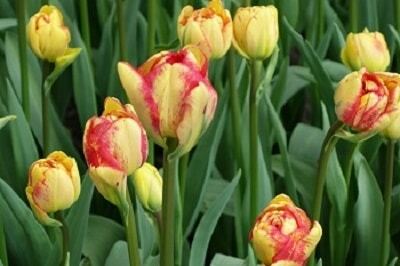 Many people associate Holland with springtime tulips and with the late cloudy winter, the abundance of these beauties is just around the corner. There are countless flowering beds in the country of the Netherlands and Keukenhof Gardens is the “Disneyland” for flower lovers, captivating sightseers from throughout the world. Located 45 minutes from central Amsterdam where rows of gabled houses, noticeably tilting from shifting land, grace the endless canals. I found the Netherlands to be full of charming architecture and picturesque landscape. The Keukenhof has 7 million flowering bulbs produced by 100 companies exhibiting the wonderment of the best bulbs during this colorful season. Freesia, daffodils and hyacinth sprout up as the tulips decide to wake up. When the sun pops out from the Dutch skies, the fields of tulips will mature into a rainbow of colors and be the star of the show. On this brisk day as I casually walked through the numerous outdoor tranquil gardens and the indoor gardens, people were smiling, laughing and smelling the flowers. All types of cameras clicked away to capture nature and happiness as family and friends posed among the variegated blossoms. There is even a modern selfie garden which will be very popular with cell phone users. Getting to the flower fields is fun and relaxing by taking a river cruise on the smooth Dutch waters. Once on board the small and well appointed ship, we unpacked once and enjoyed gourmet meals, local wines and pampered service. AMAWaterways River Cruise Line is family owned and offers many cruises such as the Tulip Time cruise to experience a once in a life time journey through the Netherlands. Throughout the 7 day cruise, they took care of all the details for the included escorted tours with expert guides who speak English and have terrific local knowledge. 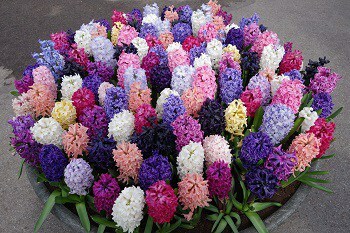 Our guide even explained how to select flower bulbs for purchase and how to ship them internationally. Disclosure: The author was a guest of AMAwaterways but expresses her own opinions.